LGBTQ+AFFIRMING CONGREGATIONS SHINE A LIGHT! 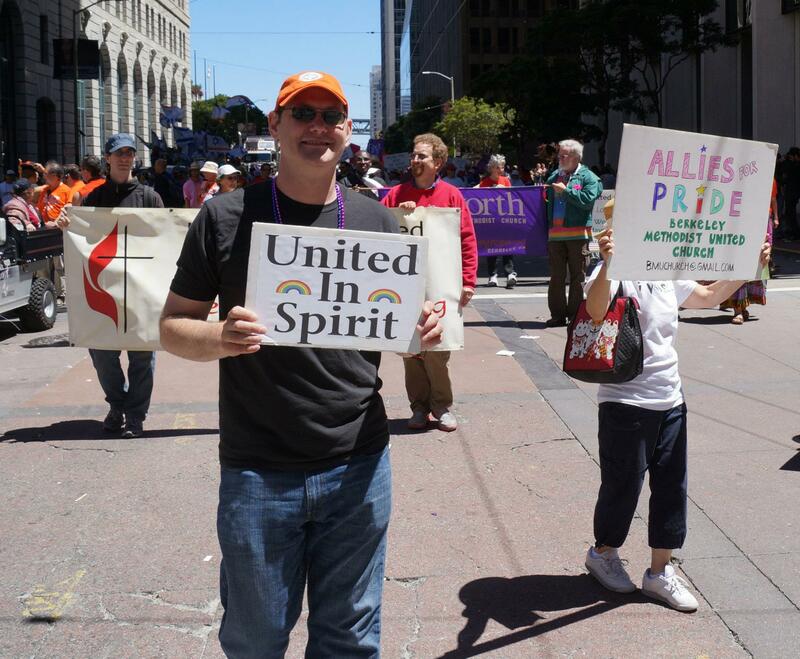 For more than twenty-five years, our contingent of Northern California congregations, religious leaders and people of faith has affirmed and celebrated LGBTQ+ people in the San Francisco Pride Parade. In recent years, churches/denominations represented have included American Baptist, Congregational (UCC), Disciples (DOC), Episcopal (EC), Presbyterian (PCUSA, More Light, Cumberland), Catholic, Methodist (UMC), Unitarian (UU), and Metropolitan Community Churches (MCC). Our interfaith witness includes offering referrals to Jewish, Buddhist, Hindu, and Muslim groups as well. 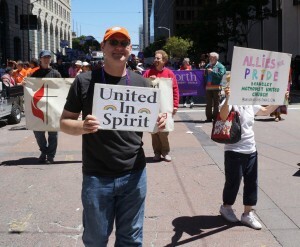 We gather to march in San Francisco Pride on the last Sunday of June. As crowds line the sidewalks of Market Street, we celebrate all the colors of the rainbow and community. We share a message of love and acceptance. We smile, dance and bless the crowds as we carry our church banners and LGBTQ affirming signs. Please join us, invite your friends and church family, and lend us your prayers and blessings. We are asking interested individuals, congregations, associations, presbyteries and conferences to join with us in supporting this effort. Nearly $2000 in financial contributions are needed to cover parade registration, insurance and the cable car rental amount. The cable car is needed so that we can accommodate the disabled and those who would otherwise be unable to participate. Please contact Michael Leslie 510.527.2663 to make a contribution or discuss sponsorship. Register or contact us if you’d like to participate. Updated contingent list posted here.